If you’ve been following this blog, you might have thought I left it abandoned for good. I could see why you might think that. The last few months have been challenging to put it lightly. The beginning of the new year did not treat me kindly and I tucked myself away in a little protective bubble. I’ll be honest; for the last few months I haven’t wanted to do much of anything. I fell into a deep depression ala Fiona Apple and I worried I might not recover. It happened a few weeks into January when my relationship crumbed. It ended abruptly after I found out he had been cheating on me while I was home for Christmas. While I was sitting with family missing him, he was sleeping with someone else. I couldn’t breathe. We seemed so happy. I was happy. I moved my stuff out immediately and moved back into my apartment. What made matters worse is that this relationship that I was so blissfully happy in didn’t matter so much to him anymore. I wanted answers and he wanted to ignore me. Two and a half years were thrown away in a matter of a few short hours. No explanations, no desire to work things out—nothing. Even when I saw him he was happy to openly flirt with other women in front of me. He would brag on Facebook about how great his life was now. I was devastated. I sunk into a depression that no one but me would be able to pull myself out of. Anyone who has been depressed understands how hard it is to get out of bed every morning, let alone continue to live your life like it has purpose. The last two and a half years had been built around him and his life and now everything had changed. My home, my training, the restaurants we used to go to, my gym, even my friends. One text from this woman changed my entire world. I had to create a completely different life for myself knowing that I would never get the old life I loved back. Suffice it to say, I was angry. Sometimes I still feel that way. I’ve cut myself some slack and realized that it’s only natural. After everything fell apart, it was hard to care about much. I was just going through the motions of my day and everything felt fake and contrived. It’s when I hit rock bottom that I decided I needed to take the biggest leap of my life. Already faced with debt, unsteady work and crumbling relationships, I decided I was ready to make a serious change. I’ve been dreaming of traveling my whole life. It’s been the one thing I crave more than anything. 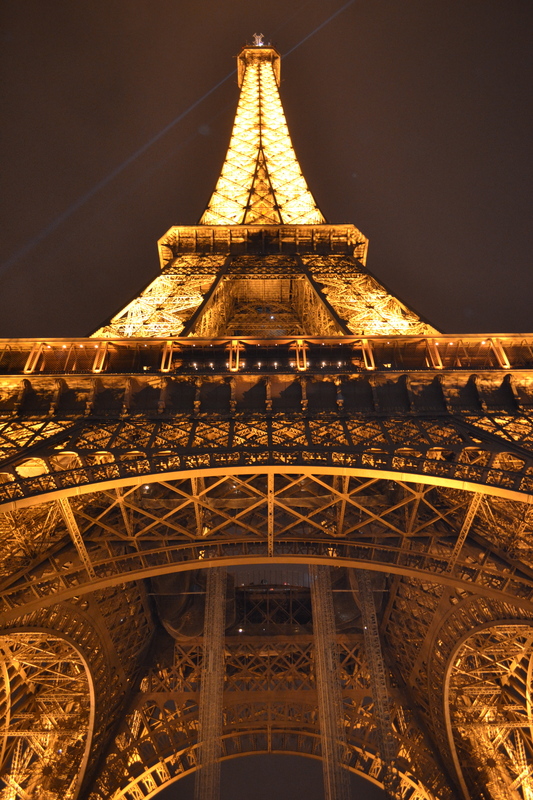 In fact, there would be months where I would dream every night of being in London or Paris and then wake up to find that it was all just a dream. I could physically feel the urge to travel in my body, coursing through my veins. I’ve come to realize that there are no words to describe my need to be a jetsetter, but I liken it to finding my life’s purpose in many ways. I was born to travel. I called my mom not long after and told her that I needed to pack up and go. I didn’t even care where, I just knew I needed to leave this city with all these rough memories behind. And I wanted my mom to come with me. We’ve always been close, and I knew seeing the world and having my mom with me was exactly what I needed to breathe life back into me. I was a good person. I had great talents and a lot of potential and I was just sitting here wallowing. If he wasn’t going to wallow, I most certainly wasn’t going to punish myself. So we impulsively bought tickets to England on a cold March day and decided we would leave at the end of April. For those who know me, they know this isn’t in my nature. I’m overly practical to a fault. I take chances, but not as much as I should—and certainly not of this magnitude. But serious issues call for serious changes. I was ready to see the world. It had been my major goal in life and I was finally getting a stamp in my passport. I took a month off from my life to travel through Europe. 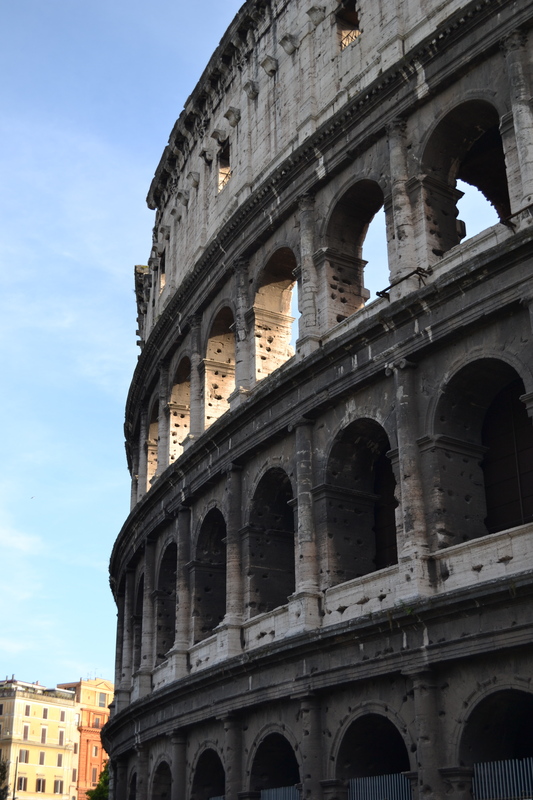 I saw England, Paris, Rome, Florence and the Tuscan countryside. We trudged the English countryside with two dogs by our sides. We spent hours wandering down dark alleys to find a haunted British pub. We almost got stuck in Versailles. We spent two days hunting down a Parisian bar that Ernest Hemingway use to write in and then found out that we were unwelcome there (however, the Grasshopper was delicious). We taped a hilarious two-hour conversation while drinking that I still listen to from time-to-time when I need a good laugh. 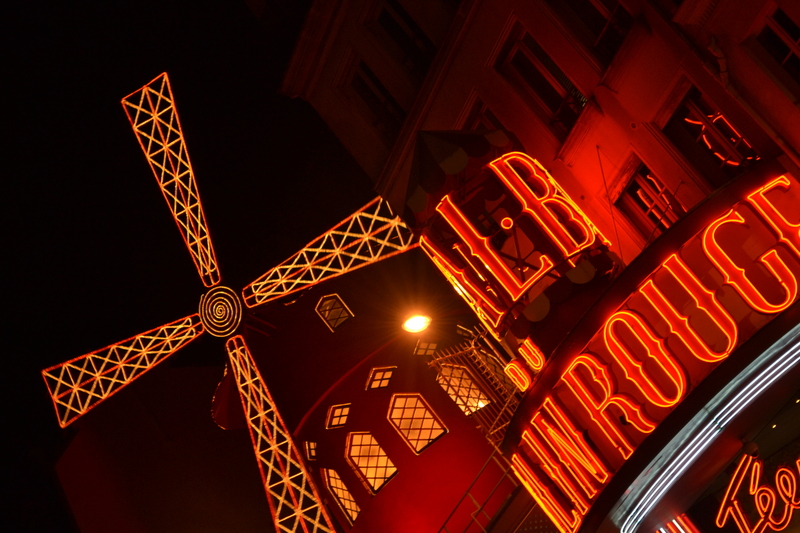 We saw Emile Zola’s grave, got lost in the red light district, and had cocktails at the Moulin Rouge. I found amazing French soul music while staying up all night packing in Paris. We got lost a lot but ended up finding more meaningful adventures and experiences that way. My mom’s foot grew three sizes too big and we realized that she has an amusing sense of direction. 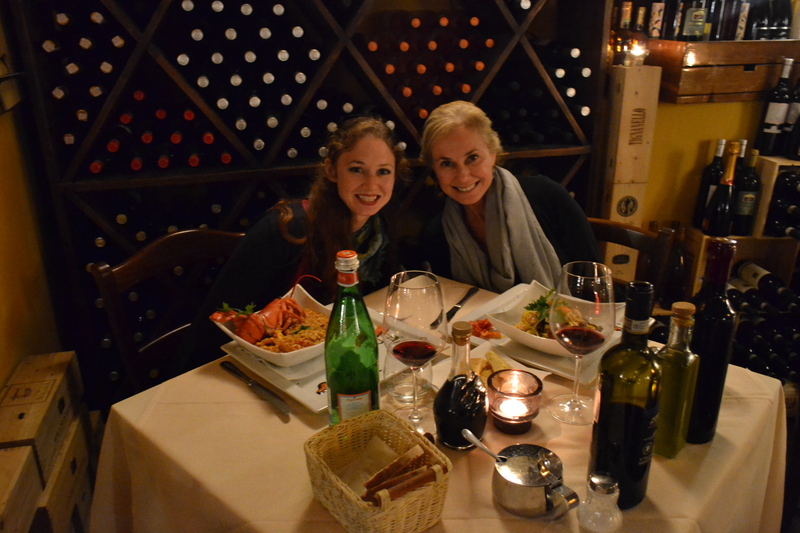 We enjoyed afternoon wine in Italy and ate pasta everyday without guilt. We silently cried in the Sistine Chapel and marveled at the wonders of Rome. I’ve realized that I still can’t wrap my mind around buildings that were constructed before Christ. My mind just can’t process or fathom how significant that is. We found a Monk’s crypt and wandered for hours to find a popular local restaurant. The pasta was so magnificent that it was more than worth walking for hours. We made a wish in every fountain in Rome. We ate gelato three times in one day (and then vowed to never eat gelato again…of course, a lie). 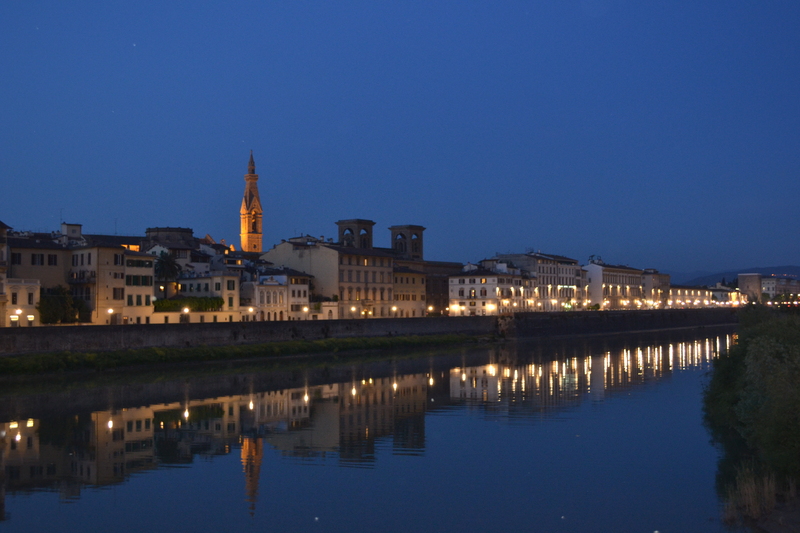 I fell in love with Florence. We saw Dante’s home and where the Black Death started. 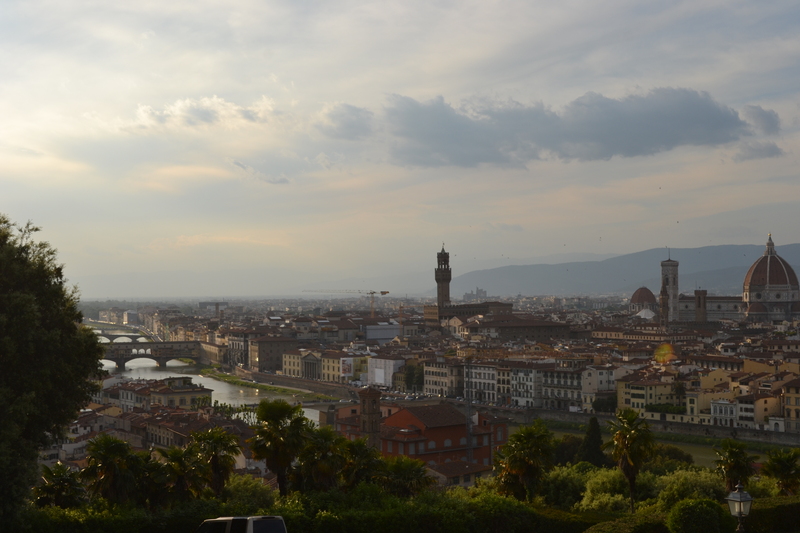 We climbed to the top of the Piazza Michelangelo and watched the most gloriously red sunset I’ve ever seen in my life. We drank Limencello every night outside under a beautiful blanket of stars. 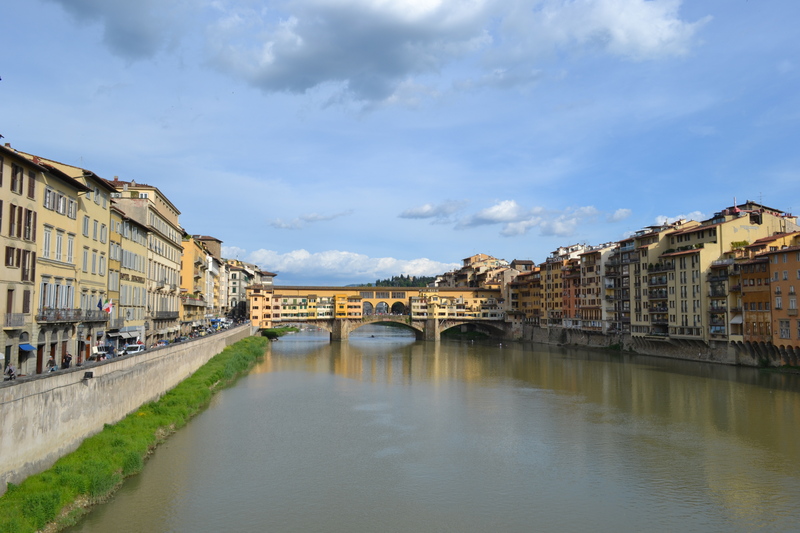 And when we couldn’t walk one more mile, we drank wine and enjoyed the warm beautiful breeze of the Fiume Arno and watched the city life below from our gorgeous hotel balcony. I cried when we left Florence. I had never seen such a beautiful place that was the perfect amalgamation of art, science, culture, architecture, spirit and love. I dream of Florence now and long for the day that I go back. I’m currently looking for writing grants so I can go back and live there for a while. But what meant the most was that I had my mom by my side through it all. People thought we would fight or be sick of each other, but it was the opposite. I wouldn’t have done this trip with anyone else. In many ways, she brought me back to life. We are already talking about making these trips a regular thing. While financially we’re not sure how to swing it, I believe we’ll find a way. Florence is already calling. Now that I’m back to the same routine once more, I get homesick more often. I miss my mom. I miss our jokes and talks over wine. I miss having my best friend around. I can’t stand that we are so far away from each other. I’m now contemplating moving back to the East Coast, because I’ve realized throughout this life-changing ordeal that the people that matter the most are my family. They will always be there for me. I mean, who else packs a bag and buys a ticket to Europe for a month because her daughter’s depressed? Someone really special. So why shouldn’t I be surrounded by more of that? While I still feel anger and pain and loneliness, all I have to do now is look at a photo of Florence and I realize that in some ways this infidelity was the best thing that could have happened to me. I went on the most amazing adventure of my life. I saw that the world is so huge and full of opportunity and I was putting everything I had into someone who couldn’t do the same. I’m worth more than that. My life is worth more than that. I have no idea where my new life is heading, but I’m excited to see it unfold. So a hearty toast to a new blog for a new life. This was a recipe that a dear friend made us in England. It’s perhaps the best comfort food I’ve ever come across. I served it to friends when I got back into the states and I’m pretty sure they are still drooling. It tastes even better the next day with a cup of black coffee. Unfortunately I don’t have any photos of this cake. It went so fast there was no time to snap some pictures first. Next time! Hope you all enjoy and thanks for staying loyal readers. Heat chocolate and cream over low heat until chocolate is melted. Whisk until smooth and thickened. Allow 1-2 hours to cool—or thick enough to spread over cake. Add all ingredients except water and beat until smooth. Gradually add boiling water. The mixture should be runny. Divide the batter in half and bake in two small tins for 25-35 minutes. Remove cakes from oven and allow to cool before icing. Thank you for the compliment and kind words. Florence is absolutely stunning. I think it’s almost impossible to take a bad picture of it. Thanks for continuing to read my blog!